Forrester's Fenwick: Digital businesses view technology as an investment that drives growth, not just keep costs down. This is the view of Nigel Fenwick, vice-president and principal analyst, Forrester Research, who was speaking last week at the CMO – CIO Customer Experience breakfast forum hosted by CMO and CIO magazines and the Association for Data-driven Marketing and Advertising (ADMA). Fenwick said companies have a choice: They can choose to become ‘digital predators’ or end up as ‘digital prey’. 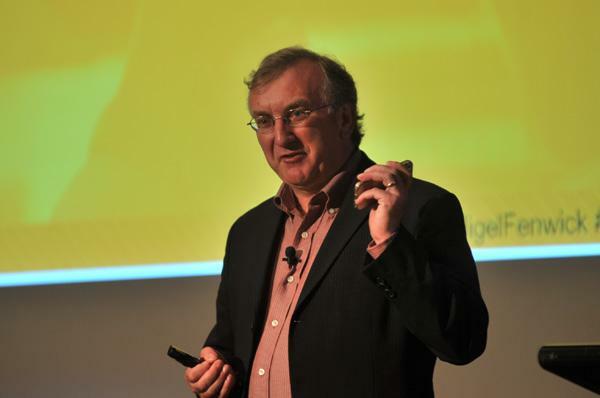 Digital strategies today are failing because organisations are thinking about them as a ‘bolt-on’ to the business, and there is a ‘disconnect’ between the potential for digital and ‘what we are actually delivering,’ he said. He used the analogy of buying your first car; you want a sports car but buy an ‘old banger’ that you can afford, pimping it with a spoiler and mag wheels. According to Forrester’s research, <i>The Future of Business is Digital</i>, 73 per cent of organisations have a digital strategy but people remain confused about what it means. According to Fenwick, only 21 per cent of executives believe CEOs have demonstrated a clear vision for digitising their businesses, and just 21 per cent say they have the right people in their company to create a digital business strategy. Further, 68 per cent believe functional areas of the business that have been scaled up over time to deliver output, which impedes the creation of digital strategy. To become a digital organisation, Fenwick said businesses must focus on cross-functional agility, allowing the organisation to move at the speed of the market while breaking down the barriers that get in the way of applying digital technologies. From a technology perspective, a traditional business is more focused on keeping costs down, the lights on, and users safe, he continued. “That’s the mantra that has been given to CIOs for years,” he said. In contrast, digital businesses look at technology as an investment that drives growth. “For a digital business, technology is a means to drive the agility and innovation that they need to bring to the market,” Fenwick said. Fenwick also talked about companies using digital technologies to create an “ecosystem of value” using British Airways (BA) as an example. The airline started experimenting with placing RFID tags inside customers’ luggage labels to prevent luggage losses. "The airline realised it could take the data from those luggage labels and embed it into the customer's app on their mobile phone. So now the customer who is flying with BA has information about their bags,” Fenwick explained. "If you're a frequent flyer, which carrier are you going to go with: One that adds value in your ecosystem to say that your bag is actually [on the aircraft,] or one where you are still left guessing?" Check out the pictorial highlights from the 'Engineering the new customer experience' event held by CMO, CIO and ADMA in Sydney on 22 May.